Bass/Saltwater Rooster Necks have long, wide, webby hackles that are great for bass and saltwater projects. A twisted nylon for heavy hair work and large flies. These plated brass barbell eyes are the quickest way to add weight and action to any pattern. 2x Wider, 2x Longer, 2x Stronger. Soft foam popper bodies, light weight, soft and durable. 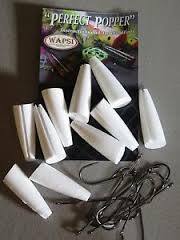 White popper bodies,10 Poppers and hooks per pack. Add lifelike action and barring to your patterns. Very popular legs for bass bugs, crabs and poppers. Made of silicone, Sili Legs have a translucency and flexibility that is unmatched by conventional rubber legs. Finest thread around. Ties flat, no build. 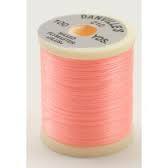 Use 4 Strand Floss to build up floss bodies on wet flies, humpies and streamers. Wapsi Barred Rabbit Zonkers 1/8"
Beautifully soft tanned rabbit strips expertly cut to meet specific tying needs. Bead Chain Eyes are very popular for streamers and saltwater flies. Wapsi Blood Quill Marabou, Strung Marabou. This feather is a great all around marabou for trout, bass and saltwater flies. 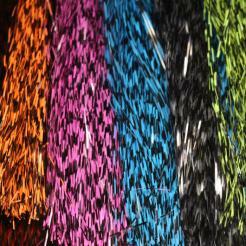 The most popular streamer material available, it has been meticulously processed and is of the finest quality. Used in freshwater tying for hair wings, this clean, crinkly, natural hair is now beginning to show up in saltwater flies. C.D.C. 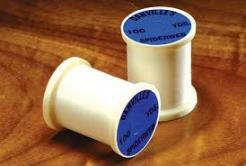 is used for emerger and dry fly patterns. C.D.C Puffs are more soft and supple than regular C.D.C.